For my next DIY Thieves inspired recipe I thought I would share my DIY Foaming Hand Soap Recipe! I’ve been using a DIY hand soap recipe for about a year but have never had a foaming soap dispenser and my recipe has never passed muster with the husband. He complained often about it and would even walk into the kitchen to wash his hands with dishwashing liquid rather than use my homemade soap! So I knew when I got my Everyday Oils collection that I wanted to modify my recipe and invest in a foaming soap dispenser. I have an abundance of Mason jars in my house because I believe in reusing/upcycling as much as possible and I had made Christmas gifts using Mason jars as the packaging last year. So when I saw someone use a foaming soap dispenser top with a Mason jar I knew I had to have one! Once I ordered it off Amazon (from Jarring Creations – find her etsy shop here: https://www.etsy.com/shop/jarringcreations) I set out for Pinterest to find the perfect recipe for DIY foaming hand soap. I knew I wanted a recipe that incorporated Thieves oil as an ingredient because of its ability to prohibit bacteria and fungal growth as well as its immune enhancing properties. My favorite that I found was from The Oil Dropper and I modified it slightly to make a bigger volume and added a few extra oils. And what do you know? The husband approves! 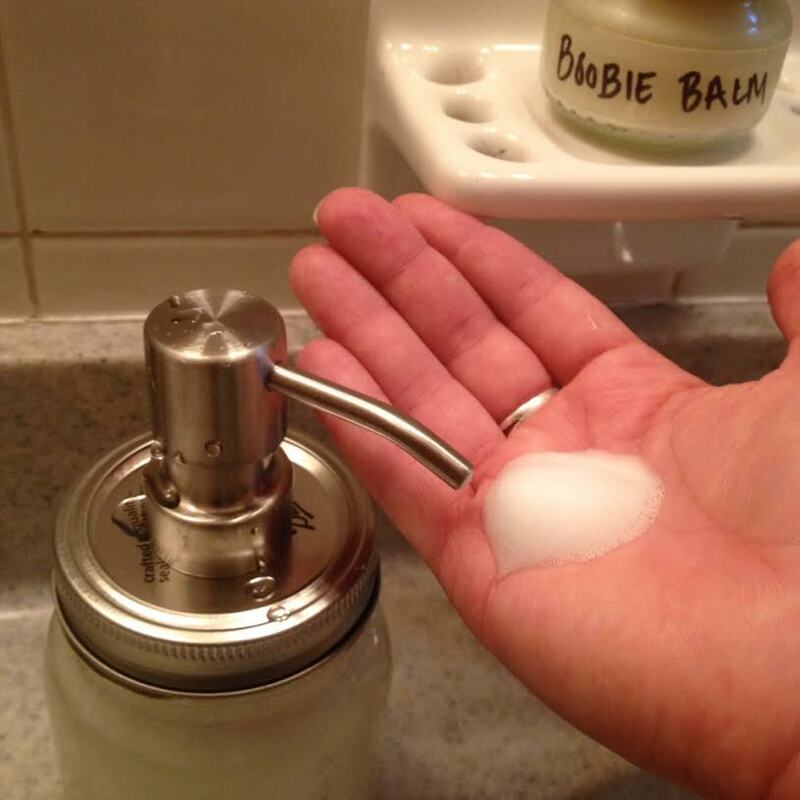 Add filtered water to your foaming soap container (slowly or it will create a lot of bubbles!) and Viola! Categories: DIY Personal Care and Hygiene, Young Living | Tags: castile soap, chemical free, DIY, essential oil, foaming hand soap, lavender, lemon, natural lifestyle, natural living, non-toxic, peppermint, thieves, vitamin e, young living | Permalink.